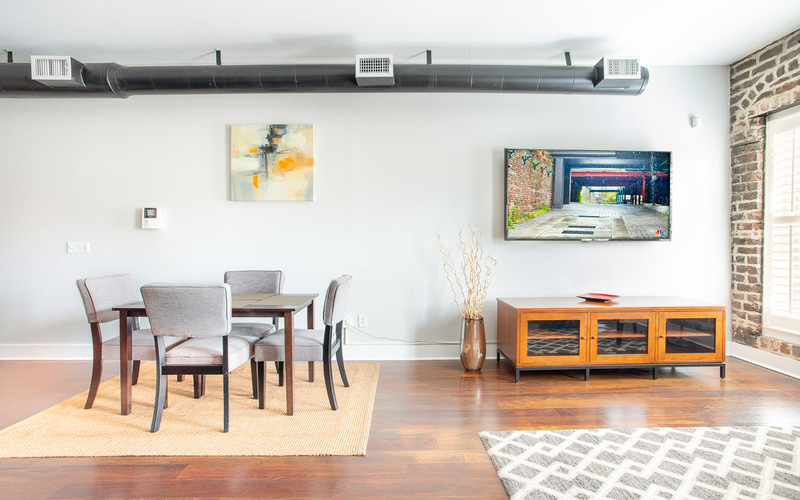 Welcome to Franklin Square Loft! Kick back and enjoy vacation in this spacious living room. 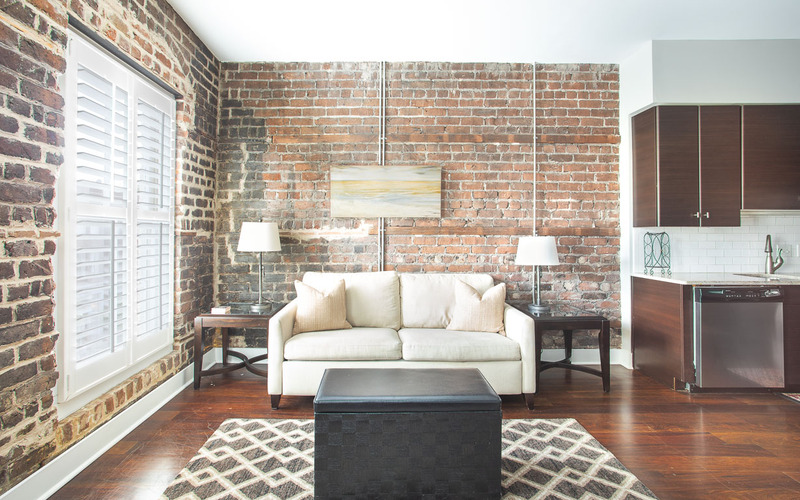 Original brick was left exposed for a modern feel. The living room is open to the kitchen. The sofa pulls out into a Queen sleeper. Views of downtown Savannah are just outside the windows. Guests can enjoy the massive flat screen TV. Catch up on your favorite shows at the end of a busy day. View from the living room looking towards the entrance. 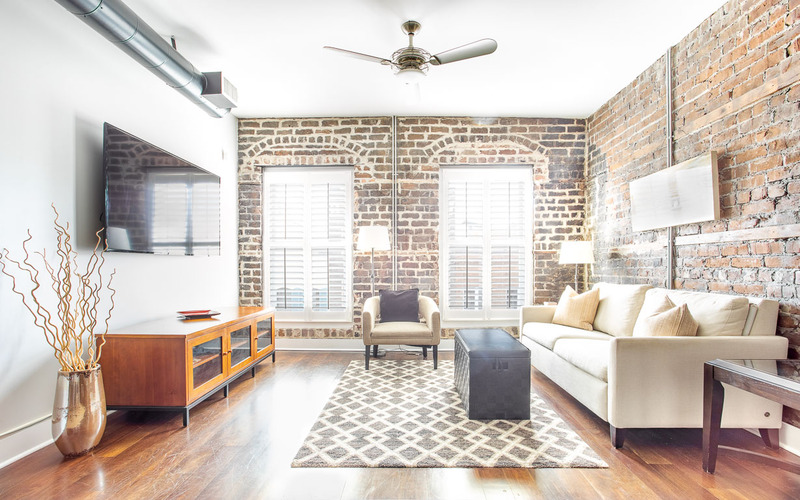 Experience loft living in historic downtown. The dining table can seat four. The open kitchen provides lots of space for cooking any meal. 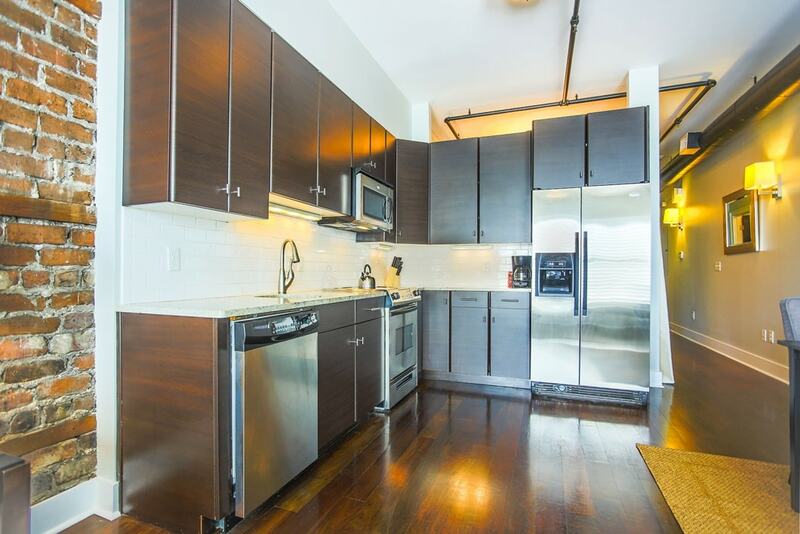 Up-to-date, brand new stainless steel appliances. Sleep the night away in this queen size bed. Two lush curtains close off the bedroom. 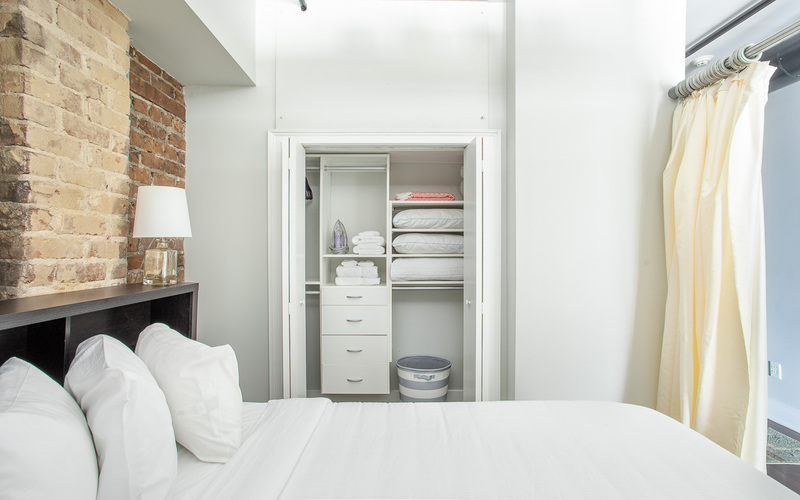 A hidden closet makes long stays a breeze. View of the open bedroom and main hall. Newly tiled step in shower can wash your cares away. 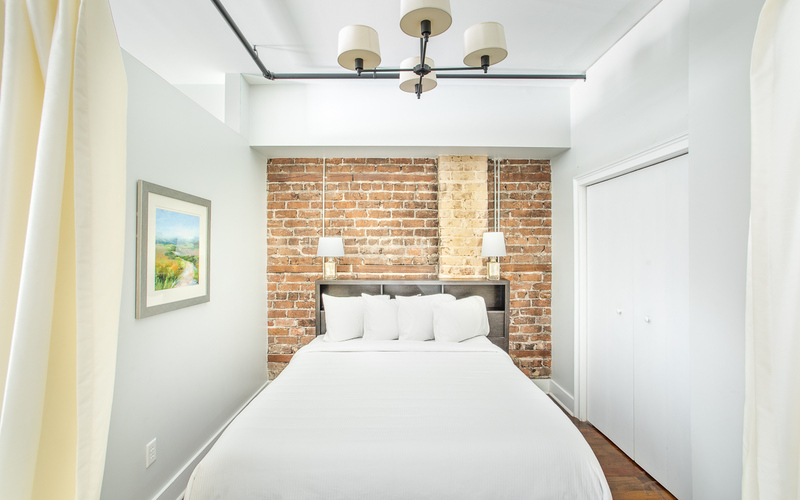 Perched above Broughton Street, this newly renovated loft has everything you’ll need for a quick trip or longer stay. Just a block away from City Market, you’ll be within walking distance to everything from museums to boutiques to world-class restaurants. The fully-equipped modern kitchen is beautifully balanced by the exposed brick of the living area. You’ll have everything you need to dine-in or spend an evening simply watching the brand new 70" smartTV. In the morning, plan your day while drinking coffee and looking out over Broughton Street. Or you could head down the street for breakfast at Goosefeather’s Cafe, listed as one of the top 16 bakeries in Georgia. A day of exploring will leave you hungry. Looking for something extraordinary? Head underground to The Ordinary Pub for classic favorites with a twist, or try The Grey, one of Savannah’s newer restaurants, was named one of the top 5 restaurants in the country by Food & Wine Magazine. Both are nearby. 1) The sleeper sofa in the living room is from American Leather, so all 4 Lucky guests can sleep in comfort. 2) Nearby City Market is a hub of nightlife in Savannah, with live music every weekend. 3) You can pick up several tours, including carriage tours, trolley tours, and even haunted pub crawls, at locations nearby. We enjoyed our stay here - it was a beautiful, clean apartment with everything we needed for a fun girls trip. The apartment is located steps from everything you will want to see and do downtown. Loved it! Cant wait to come back! It was an ideal location In the unit itself was great. The only problem we had was after the storm that went through on our first night and the TV system was knocked out, it took several days before a satisfactory response was put in place and we could view TV again. Secondly, the deadbolt didn’t engage and again it took several days after reporting before this was repaired. The management folks however were very fine, polite respectful and interested. We would stay here again, and would certainly recommend it to others. This was my first get away with my girlfriend and I could not have asked for more. From the moment I booked this to the moment I left, Luckysavannah was amazing. The ease of checking in and out was second to none, the value was amazing, location was amazing( just park your car in the garage a block away and put your keys away) this was within walking distance to everything. The city of Savannah was lovely. I would highly recommend anyone I know to contact Luckysavannah for a stay. Thank you to all of you. The apartment is updated and very clean. The bed is super comfy too It's in a great location right downtown and convenient to everything. No need to drive anywhere. Only thing I would say bad is that it's on the corner of two very busy streets, so it's a little noisy. Great for a couples getaway and was perfect for our stay. Will definitely stay here again! Very cute little flat in the heart of the historic district. It was perfect for our stay and everything that we wanted to do. Staying at the Franklin Loft was perfect! It is an absolutely beautiful place and extremely comfortable. The location was exactly what we wanted. We were so close to everything. I was afraid that it was going to feel cramped, but it was surprisingly roomy. I wouldn't mind to stay there with kids too. My only complaint is that the lighting isn't the best. It was a little hard to do my makeup. I only share this because I would suggest bringing a lighted mirror. My husband and I will definitely try to stay here again! We completely fell in love the city and will never book a stay with any other hotel or rental company in Savannah. This place was a perfect getaway. Right in the middle of everything downtown. Clean. Very nice inside! The loft was awesome and location was terrific. I would recommend a sound machine for sleeping as the noise from the street goes late into the night. But we had an wonderful weekend! My husband and I had a wonderful time in Savannah celebrating our 20th anniversary and loved the condo! It was the perfect size for us and convenient to everything. We parked in the parking garage across the street and only needed our car to visit Tybee Island. Booking through Lucky Savannah was so easy! The APP you download has all the information you need and more. 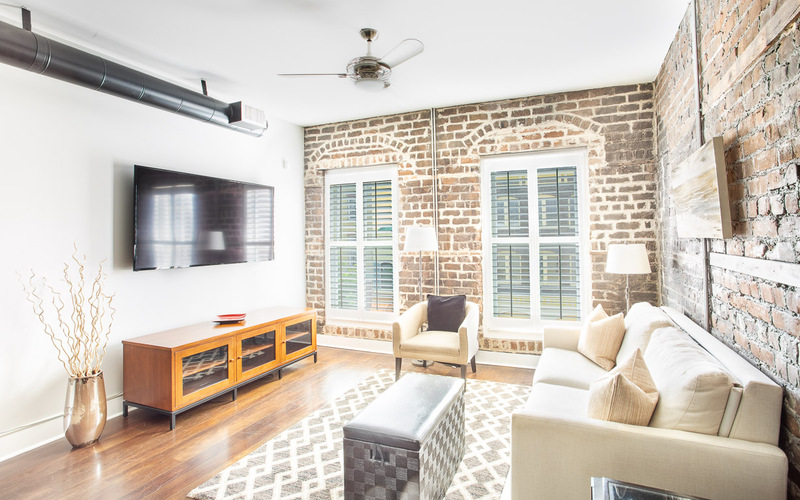 We would definitely recommend renting from Lucky Savannah. We hope to go back sometime in the Spring when the flowers are blooming. Lucky rentals made everything super clear and easy. Fantastic location, cute apartment, very clean. Just know that anywhere in this area it can be noisy at night. We had a great stay at the loft! Everything was perfect and clean. Directly by everything you want to see in Savannah! Parking wasn’t too difficult to find but can be a crowed area. Definitely recommend staying at the loft! Great loaction and ambiance. 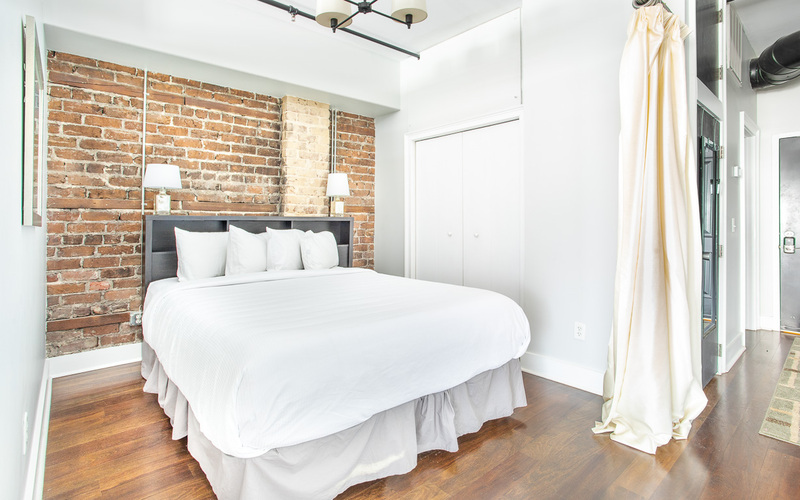 Savannah historic district gives you everything you need for a 3 night stay and the Franklin Sqare loft is fabulous. Everything was perfect. This loft is just as nice as the pictures! Very spacious for 2 people. The bed was so comfortable. The kitchen has everything you need to cook a meal but why would you when All the restaurants and walking distance!! Literally walking distance to everything down town. We will definitely stay here again. Franklin Loft is actually "New Broughton Condominium" located on Montogemy St. Which made finding the address a hour long roundabout of driving. 310 Broughton is the ATT store. Since we had never been to Savannah we didn't realize parking was going to be an adventure. We parked at public parking off Montgemy for $10 a day. Also we didn't understand the security code was on outside of box to enter building, before using the code to access the actual unit -confusing. Once we overcame the previous obstacles, we loved the location. We enjoyed an urban vibe; able to walk to shops,restaurants, some museums, tours, City Market for late night entertainment, the riverfront. Kitchen was very modern and well equipped although we ate most meals out. The entire unit was very modern. We only moved our car to visit Tybee Island one day. One request, get the maid staff to clean intake vents. I took a broom to knock off the gather dust. Would rent again and highly recommend if you like to be in the "mix". Hi Sabrina! Thank you for choosing to stay at Franklin Square Loft. We do apologize for the confusing arrival and have made edits to our correspondence to make everything super clear! Please know you're privy to our Return Guest Discount next time you stay with us. This studio was absolutely perfect! I would highly recommend to anyone who wants to be right in the heart of town. It was so nice to be able to just walk outside to bars, restaurants, and shops. The loft was more than enough space for the two of us and can easily accommodate 4 people with the pull out. The only negative is that the loft can be noisy at night. This didn't really bother us as we were getting home late anyway and exhausted from all of the days activities so we slept right through the noise. 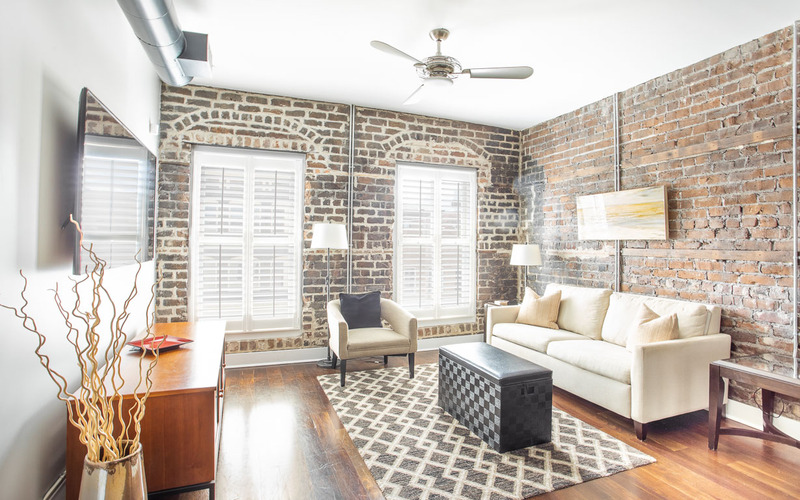 I would absolutely recommend this loft and will stay here again next time I'm in Savannah. Thank you for staying at Franklin Square Loft, Bonnie! 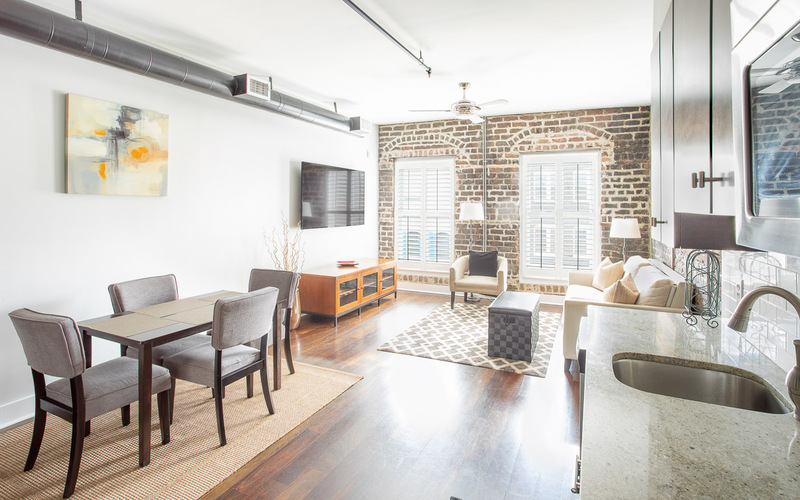 We're so happy to hear that this downtown loft was perfect for your time in Savannah and look forward to your return! Place was in a great location! Easy check in, very comfy, we had one issue with TV and maintenance came right out to help us sink the boxes. Would definitely rent this unit again! Thanks for staying with us, Monica! We look forward to hosting you again soon. Wonderfully located and very nice accommodations. Very responsive management. Hey Emily! 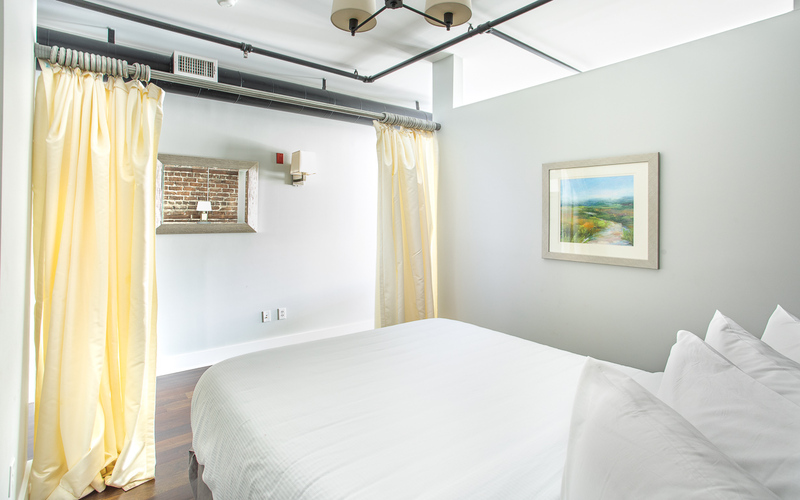 Happy to hear that our staff was accommodating during your stay at Franklin Square Loft. We look forward to hosting you again soon! Lucky Savannah was very helpful and professional. Would definitely use them again. The location was a bit loud at night but can't beat the location! Hey Eric! Thank you for your kind words about our staff. You certainly can't beat the location of this apartment! Perfect size for our family of 3. Within walking distance to almost every area in Savannah you'd want to explore. Clean and very comfortable. Would have liked a larger TV in the living room. Overall, a great stay! Hi Janet! Thanks again for choosing to book with Lucky Savannah Vacation Rentals. We're so happy to hear that Franklin Square Loft was perfect for your family of three, and look forward to hosting you again soon! This was a beautiful place to stay. I visited Savannah to search for apartments so I am happy I got to get a bit of the experience vs staying in a hotel! This place was MUCH better for your money than Savannah's high priced hotels. The space was very clean and trendy. The street was very loud but that is to be expected. Its a great location right in the heart of the action! Thank you for choosing to stay local, Lindsay! We're so happy to have been a part of your new chapter in Savannah! The place was very clean, modern and located in a great location. The space for enough for our family. Plenty of shopping and restaurant options within few minutes of the loft. Will stay here again. Thanks, Rahm! We look forward to having you again. We had a wonderful time in Savannah. This property is in an excellent location and very clean. We enjoyed our stay there very much. We would definitely stay there again. Thank you for choosing to stay Lucky, Rita! We look forward to having you again soon. Everything was amazing. Bed was super comfy. I love the location and the feel of the place. I will say the parking is not good. I parked in a paid lot and ended up getting towed. But everything else was very nice! Would rent again. Kelley, thank you for booking with Lucky Savannah Vacation Rentals. We're so happy to hear that your time spent at Franklin Square Loft was amazing. Parking in this part of toen can be tricky; we recommend finding a nearby parking garage. Looking forward to hosting you again soon! The location was great, we walked everywhere. The condo was clean and nice. The huge issue was the fire alarm going off at 2:00am Saturday night. It took over 2 hours for the Building Manager to shut it off. This part of town there are are a few clubs and some noise at night. You could hear some partying if you slept on the pullout(which was very comfortable as I had to sleep with my son due to the alarm). Overall a great stay but I had to give it only 3 stars because of the alarm. Hi Jill! Thanks again for choosing to stay with Lucky Savannah. We're so pleased to hear that you enjoyed Franklin Square Loft. Unfortunately, the fire alarm is outside of our control as we do not manage the entire building. Thank you for your patience and understanding with this! Next time we'd love to host you in a quieter part of town. Gorgeous condo! We stayed here over New Years and really enjoyed the location. We could stop in an relax during the day without having to spend time traveling back to where we were staying. The space looks just like the photos, it really is gorgeous. The only negative is noise from adjacent units does make it's way into the space. Street noise is not an issue from the bedroom, especially if you have a white noise machine. But women in heels next door sound like they are walking in your living room. Thankfully, the noise was not an issue while we were sleeping, and I thank our neighbors for for that. Great space, definitely would stay here again and recommend to friends. Hi Richard! Thanks again for choosing Lucky Savannah. We're so glad to hear that you enjoyed your stay at Franklin Square Loft and we look forward to hosting you again soon. The place was very nice. We enjoyed the most wonderful honeymoon in Savannah and was proud to have such a nice place to stay in. The location was absolutely perfect for walking around the city and there were plenty of accommodations in our room. This was perfect for us! We loved this condo for our vacation. It is in a great location. It is within walking distance to just about everything we wanted to see and do while in Savannah. There are lots of great little coffee and breakfast places right near there. It is also right near the shopping and many restaurants and bars. It got a little loud Saturday night (because of the great location!) but the rest of the time was quiet and peaceful. The condo itself was perfect. We had no issues finding the door to get in or using the code systems. The Lucky Savannah app gives you all the info you need to know about your condo, how to get there, and what to bring. We loved having a kitchen for the refrigerator and sink. The television was huge and the bed was comfortable. We would choose Lucky Savannah again, and we would probably come right back to this same condo! Location was great. Clean. Kitchen had all the basics. If you want to be smack dab in the middle of things, this is the place for you! Restaurants all around, shopping and very close to River Street, if that's your thing. Lovely apartment on top floor. Thank you for choosing to stay with Lucky Savannah! 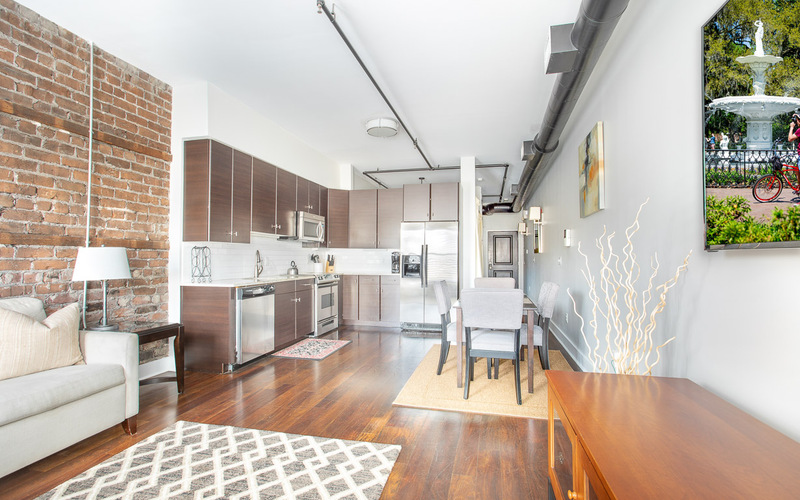 We are so ecstatic you enjoyed our Franklin Square Loft. The location is fantastic for shoppers and foodies! We hope we see you again soon. The best part about the rental at Franklin Square Loft was the location. It is only a two or three block walk to River Street. We got off to a rocky start, however. First, the parking is not free, but as we were paying 72 dollars for the week to park, we were told that we could have gotten a guest pass for a nominal sum at the Robinson garage on Montgomery Street. Second, the building keypad was not on the silver keypad, but on the black keypad on the side of the box. Also, the room code did not work as we had to call to get one that did. Finally, you had to turn on a switch to get the television to work along with the wifi. The room was clean, comfortable, the ceiling fan was nice(sliding switch is next to the t.v. switch). I would recommend this rental, but someone dropped the ball when it came to all the aforementioned problems. 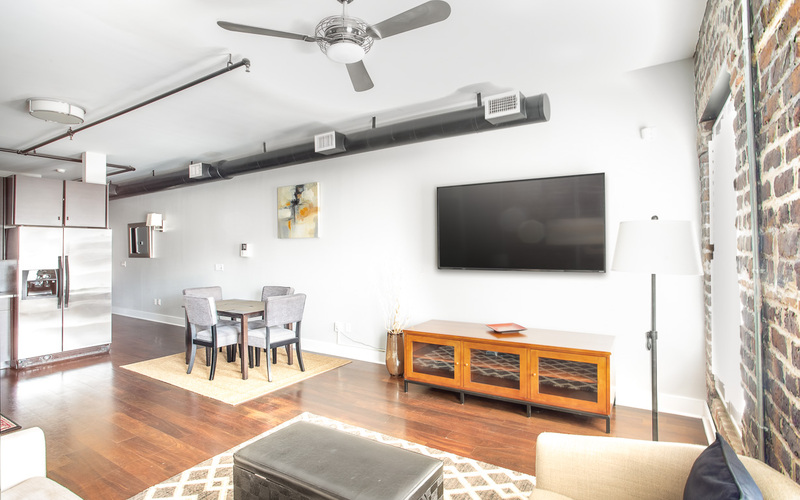 Our Franklin Square Loft does have an awesome location, we are so happy you enjoyed it. You have some of Savannah's best known restaurants just steps from the home. Unfortunately, the prime location does sometimes limit the availability of parking. There are 2 large City garages within a 3 minute walk of the home, and secure parking can normally be found in those garages for much less than the $15-20/day for most area hotels. The home does have a secure entry, which includes electronic keypad at the building entrance, as well as electronic lock at the unit itself. All necessary access codes are sent to guests ahead of arrival, but we are always just a phone call away to assist guests further when needed, as was the case here. We will look for opportunities to clarify the entry instructions further to make initial arrival to the unit even more seamless in the future. Spacious, bright and very comfortable. 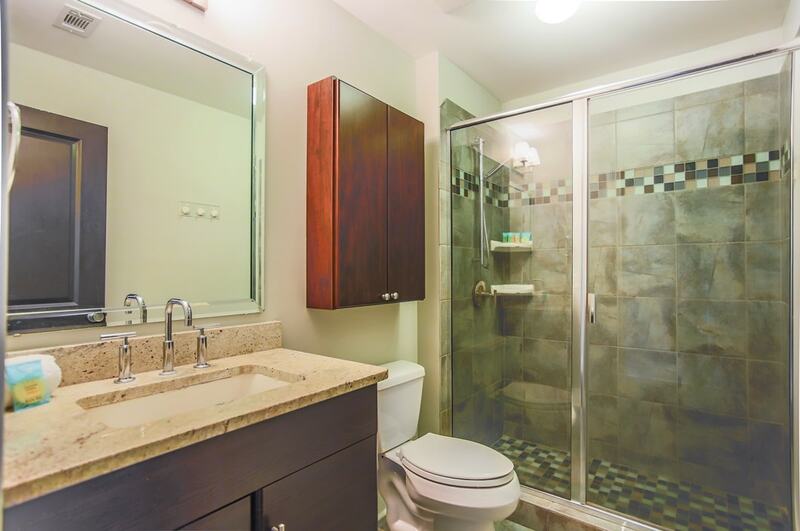 All the modern conveniences with the charm of an older building. Good downtown location - close to shopping and restaurants - but that being said, it's also close to downtown partying. Street noise on the weekend might be an issue for light sleepers. Parking a block away in a public garage was not a problem especially since street parking is so limited. Initially a problem with door codes but it was reassuring someone actually answered the phone and straightened things out even if it was after normal business hours. I would recommend this loft and this management company. Thank you for choosing to stay with Lucky Savannah! 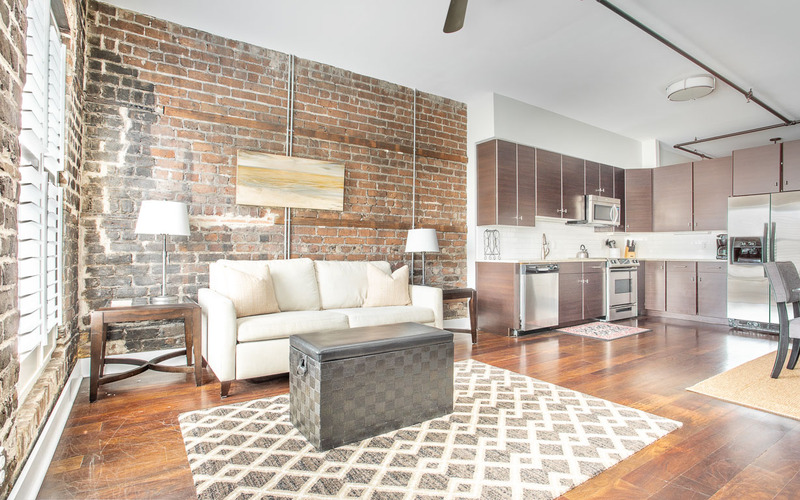 Franklin Square Loft offers an ample amount of lighting, and comfort. We are ecstatic you found the home to be in a great location as well! We appreciate your kind remarks, as we try our hardest to make sure every guest has an efficient check-in and check-out. We can't wait to have you all again! Thank you for choosing to stay with Lucky Savannah! 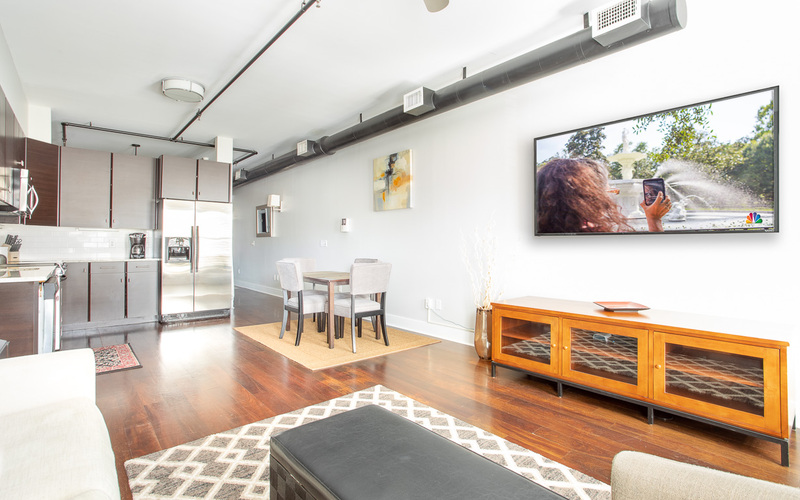 Franklin Square Loft is a great choice, especially the location. We are glad we were able to help right away! We strive to ensure our guests a great stay. Please don't forget about our 10% "Returning Guest" discount! We were very pleased with LuckySavannah. The Franklin Square Loft was in a great location, and the apartment was beautiful. We were able to walk everywhere within the historic district, and the location felt safe on those late night returns to the property. It is a bit noisy by the windows if you plan on using the sofa bed. Thank you for choosing to stay with Lucky Savannah! 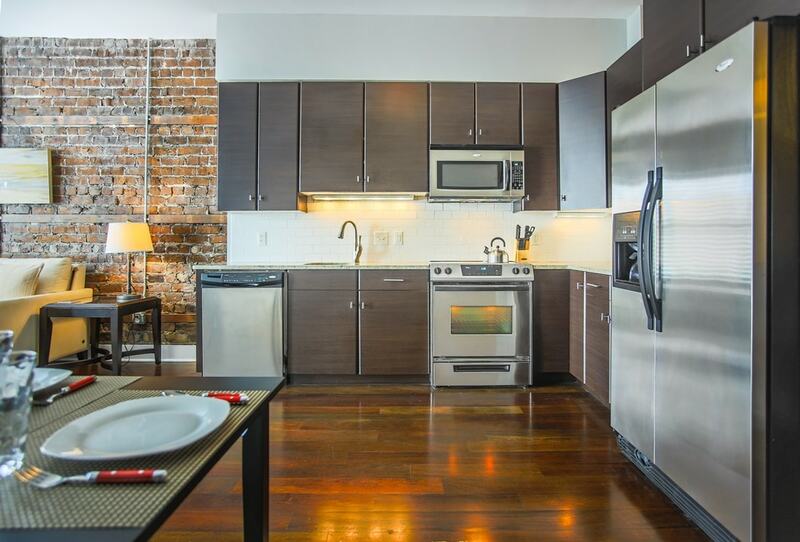 We are so glad to hear you all found Franklin Square Loft to be a great choice, and in a great location. Walking from this gorgeous, recently renovated apartment, to many attractions is a breeze! We hope to have you all again in the near future. The condo was so much better than staying at a hotel!! Great Location!! Very clean! Thank you for choosing to stay with Lucky Savannah! Franklin Square Loft is indeed better than a hotel. This home has so much to offer, including its fantastic location, which you all were able to enjoy! Our housekeeping team works very hard to ensure a great for all of our guests and we are happy it was up to your standards. Please don't forget about our 10% "Returning Guest" discount! We absolutely love our stay here!! The location was the highlight!! This was 5th visit to Savannah and we always try to stay somewhere different. This one is hands down our favorite!! The loft had everything we needed for our stay from linen to kitchen supplies. Be very careful and read signs closely on Broughton St...we received 2 citations in ONE day!! Lol That was a first!! Highly recommend purchasing a visitors parking pass!! We will certainly be staying here again or another location that Lucky Savannah offers! Also,Josh at Lucky Savannah was so very helpful through all the calls I had to make to them upon arrival(no issues) just questions I had!!! Thank you for choosing to stay with Lucky Savannah! Franklin Square Loft is a beautiful apartment with an amazing location. We are so glad to hear you all had a great stay and found it to be your favorite! We try our hardest to ensure a great stay, and excellent customer service. We are glad to hear Josh was able to help with all of your questions! Please, don't forget about our 10% "Returning Guest" discount. The loft was everything we hoped from location, price, and amenities. We could not have asked for a better experience. We would recommend Lucky Savannah to all who would visit Savannah. We had a memorible time in the Savannah are. The accomommoation put the icing on the cake! I honestly couldn't have picked a better location. I initially thought I would have to walk a couple of blocks before being apart of everything and I was wrong! Everything was super close and convient. The only down side was the noise at night but it wasn't that bad. Very stylish and clean. Perfect for our weekend get away! Very nice, very clean & great location. The internet & tv wasn't working right so sent a message & first thing the next morning someone called & within a couple of hours someone was there to fix it. Hi Bathanie! Thank you so much again for choosing to stay with us. We're so glad to hear you enjoyed Franklin Square Loft and that our staff was helpful during your stay. Please know that you're privy to our Friends and Family discount next time you stay with us. Looking forward to hosting you again soon! Very much enjoyed our short stay there. Great location as it is a short walk to the Savannah sights that we were interested in. Clean and tidy, well equipped, quiet (even though on the main street). Very much enjoyed our stay in this rental and Savannah. Hi Frank! Thank you so much again for choosing to stay with us. We're so glad to hear you enjoyed Franklin Square Loft and our beautiful city. Please know that you're privy to our Friends and Family discount next time you stay with us. Looking forward to hosting you again soon! The Loft was perfect, more or less... it's charming and very well located. We walked most places we wanted to go. The furniture it's comfy so don't plan to hang out too much; that being said, it's a great city to be out and about! We felt this rental met our needs quite well . Hi Amy! Thank you so much again for choosing to stay with us. 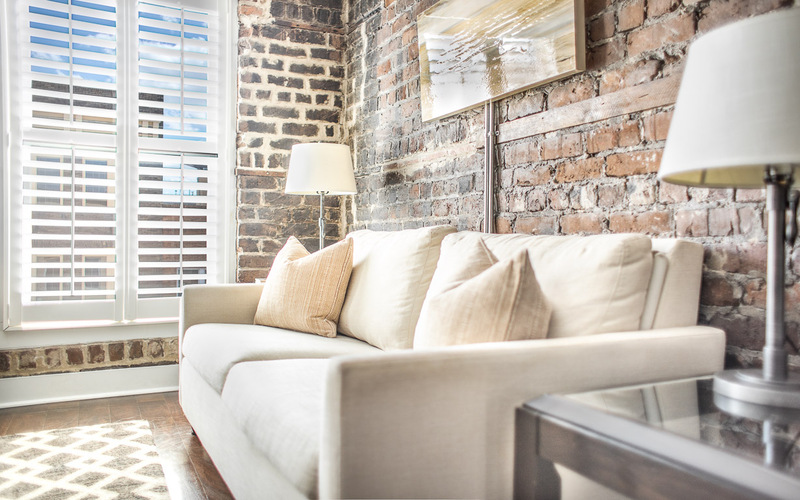 We're so glad to hear you enjoyed the Franklin Square Loft and look forward to hosting you again soon.